The Asia Player of the Year award returns in 2014, with another illustrious PokerStars LIVE Macau one-year sponsorship deal up for grabs. Not only will the eventual APOY win entry into many PokerStars Macau tournaments in 2015, but they will also have their name permanently etched on the APOY trophy that is proudly displayed in the PokerStars Macau poker room. 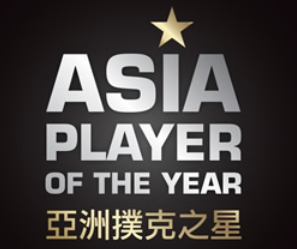 In 2013 the APOY was a hotly contested battle, but in the end their could only be one winner and it was Jian Yang who was crowned the Asia Player of the Year. Yang joined past champions Kitty Kuo (2009), Team PokerStars Pro Bryan Huang (2010), Hung-Sheng "Shaq" Lin (2011) and Yosuke Sekiya (2012). Who will be the next Asia Player of the Year? Return to Poker Asia Pacific to find out! Below is how the top 50 players on the APOY leader board currently stands.